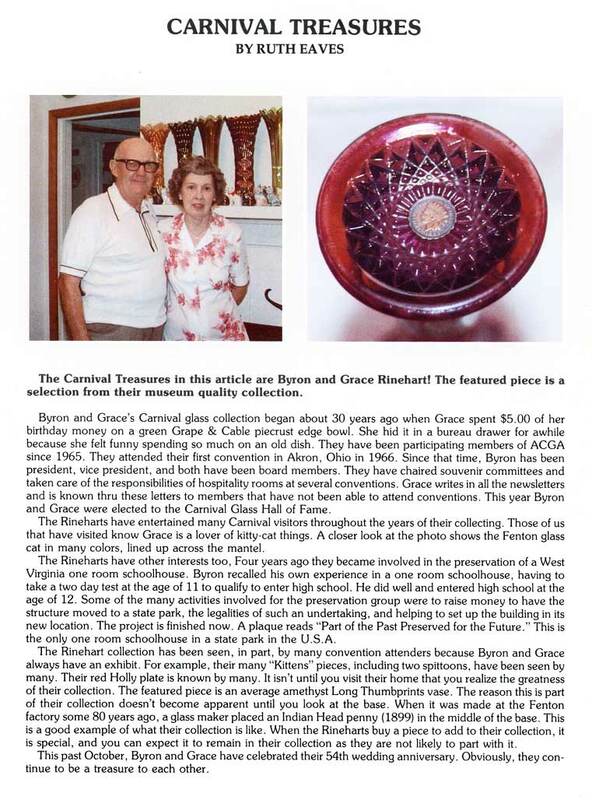 This Carnival Treasures color insert was published by the American Carnival Glass Association for the American Carnival Glass News. 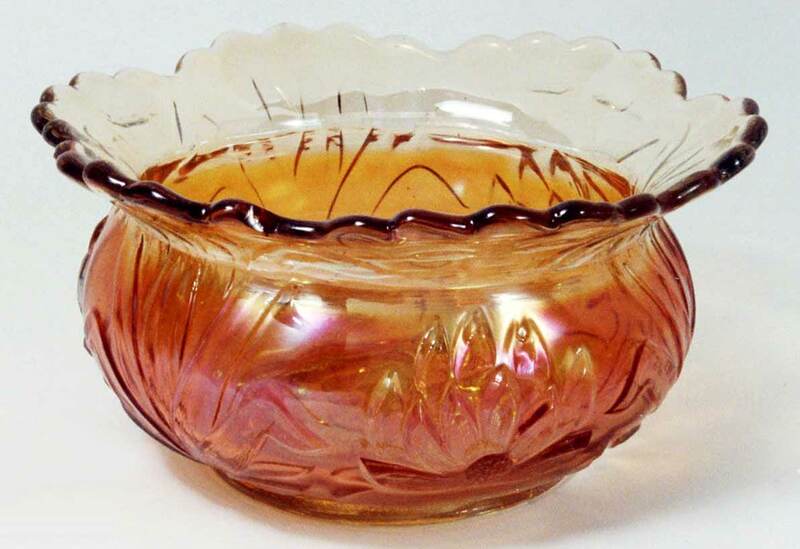 It is published here with the permission of the author and the American Carnival Glass Association. Below are two more rare items from the collection of Byron and Grace. 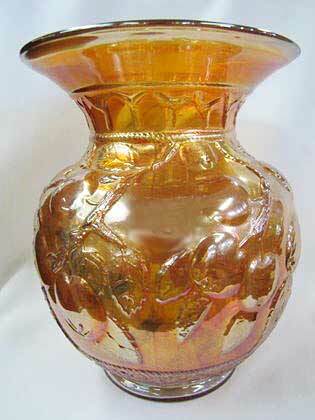 This marigold spittoon whimsey was made from an Apple Tree water pitcher without the handle. This marigold Waterlily and Cattails spittoon whimsey was made from a 7-inch bowl.